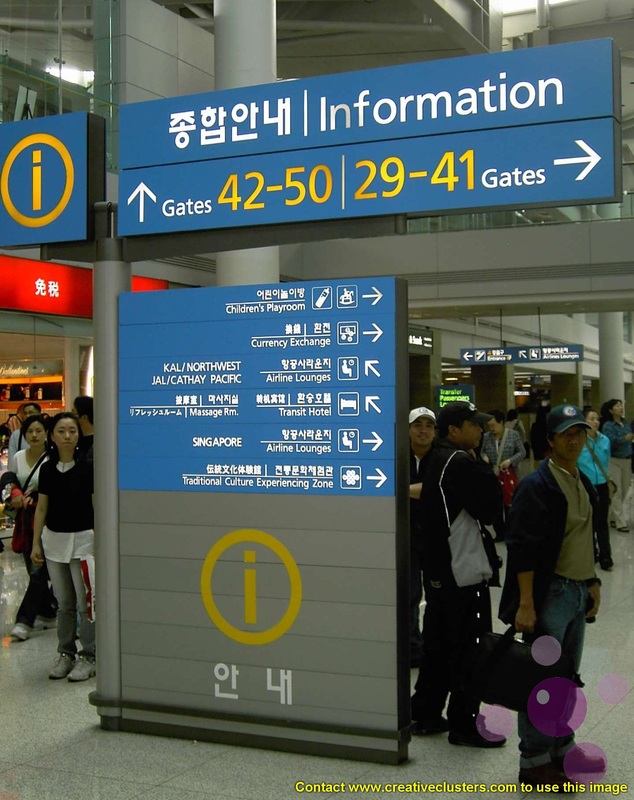 Traditional culture struggles to find a place at Incheon airport in Seoul, Korea. Globalisation is having a profound and permanent impact on human cultures. A vast diversity of handmade, place-specific forms are being displaced by a single cultural repertoire rooted in the West’s urban, consumer lifestyle. To take just one example, perhaps ninety percent of the world’s languages will be lost by the end of the century. The biggest challenge for cultural policy-makers is to understand and channel the growth of the creative economy. How can the loss of diversity be minimised? How can we ensure that real gains are made in freedom of expression, self-realisation and new modes of cultural enrichment? Comments closed — Trackbacks closed RSS 2.0 feed for these comments This entry (permalink) was posted on Friday, January 14, 2011, at 11:24 pm by Simon. Filed in Slideshow.